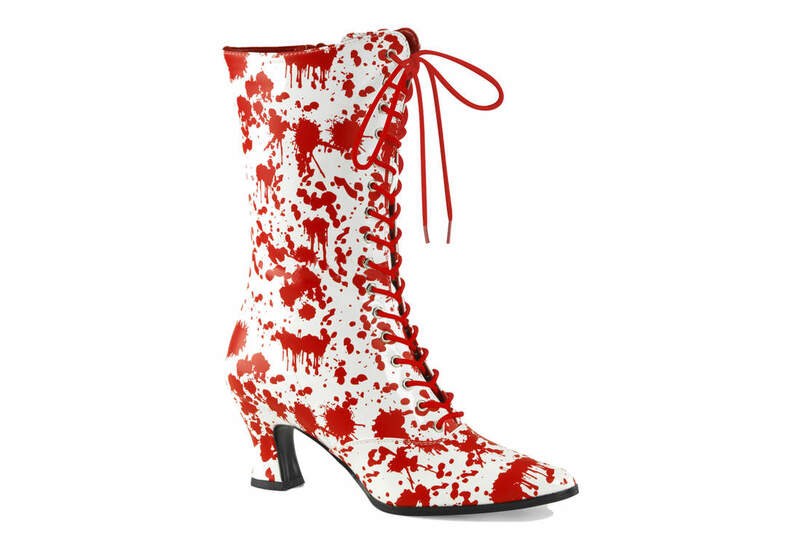 Red and white patent Victorian style boots with 2 3/4 inch heel. Front lace up closure with mid calf boot height. Bloody print overlay with full inner zipper closure. 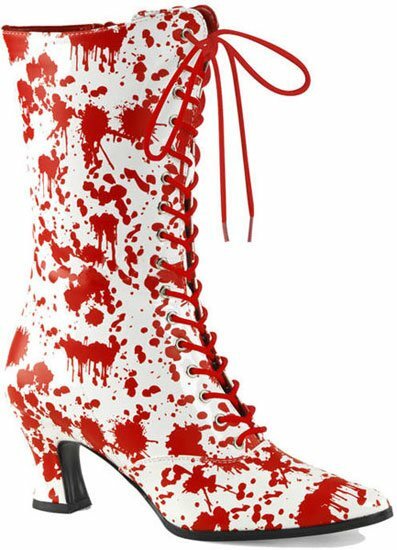 Women's high heel boots.